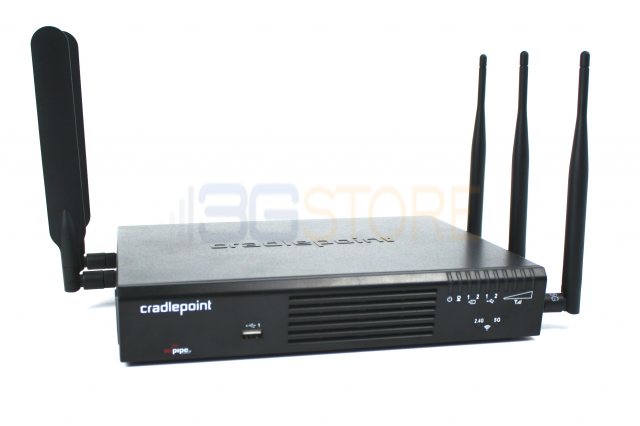 Since 2006, Cradlepoint has become an industry leader in cellular enabled routers. With a product line targeting home users and small to medium businesses, Cradlepoint has offered options for just about all types of users, and their routers have become enormously popular thanks to their affordability, ease of use, and features. One gap in their lineup was a model specifically for geared towards enterprise users, who require more security, options, and sturdiness than the average users. Starting today, the new AER 2100 fills that role by providing an option for even the most demanding of businesses. The AER 2100 (Advanced Edge Router) is an all-in-one, cloud-manageable networking solution. The feature list is impressive with highlights that include integrated 4G LTE, dual-band concurrent WiFi with 802.11ac support, and management through Cradlepoint's impressive Enterprise Cloud Manager (subscription required). And while the AER 2100 is powerful, it’s refreshingly easy to set up and can be administered with ease by virtually anyone.